The Beach Bum is a 2019 Comedy movie directed by . It stars Matthew McConaughey, Isla Fisher, Snoop Dogg, among others. 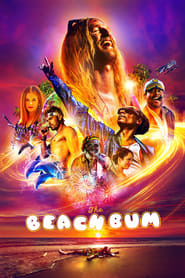 The Beach Bum is currently rated 5.2 stars on the ReelBugs scale. "You gotta go low to get high." Matthew has not been acting at all. He just shows up and does his thing and they film him. Whoa, Martin Lawrence is back?! I haven’t seen him in a film in 7 years!! Cool to see him back. "ULTRA DAZED & MEGA CONFUSED"...LOL!!! I love Harmony Korine and am so glad he's able to get such an incredible cast. Can't wait to see this. The movie, have not seen it, but will teach us about tragedy. Sooo...is Modsun gonna get credit for this character or...? I watch anything that has Matt or Woody in them. So yes I'll be seeing this!! The wolf of beach street? Harmony Korine has done it again! Wooderson didn't die he just went home. One guy gave this a bad review, after watching that I wanted to see it all the more. Matthew gets to be himself and does a good job at doing it. I want to be in the next one with him, lol.